There has been an uptick in interest recently from C-Level financial leaders to become more involved with the CRM functions within Vision. You may ask yourself why this new trend is occurring since the CRM module of Vision is for marketing and business development functions. The reason must surely be based on an informational need so that actionable decisions can be made. CRM databases are full of information to help the marketing and business development team drive new business. So, what information can provide financial leaders the insight they need to make better decisions? Pipeline and Backlog – A conversation that often occurs between a CFO and director of business development is about the movement of future revenue from the pipeline to soft backlog to hard backlog. This can result in some level of double counting and is especially prevalent in task ordering agreements or infinite deliver/infinite quantity (IDIQ’s). C-Level financial people need to be involved in the definition stage of how future revenue is separated and quantified. Cost of Winning and Losing Work – Opportunities afford us the ability to track hit rates. These are metrics showing win/loss ratios and can be filtered by unique attributes that are meaningful to your organization. One suggested attribute to track separately is sole source versus competitive wins. From this metric, financial managers can begin to quantify and measure the effort that goes into these wins and losses. However, this requires creating a promo project once the decision is made to bid on an opportunity. Utilization – Having the fluidity to evaluate time spent on a proposal is a value add. Moreover, C-Level financial types are also aware of utilization. By moving time from a promo project to a regular type project, the time moves from non-productive to productive. When we use Vision functionality to isolate proposal time on utilization reports, it provides insight into why employees are not being productive. It’s always best practice to share important firm data with key individuals from all teams, but those people should also be able to find the information on their own. 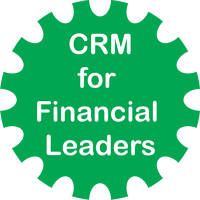 Like this new trend for financial leaders to learn more about using the CRM module in Vision, marketing and business development people also need to know how to access information from the financial side of Vision. Most importantly, everyone should be involved in the implementation of all Vision modules to ensure the initial setup, data structure and reports are valuable to the firm.